At What Stage Should Soakwells Perth Be Installed? At what stage should soakwells Perth be installed? In this photo, it is evident that even at slab stage there are often underground services such as power or NBN. 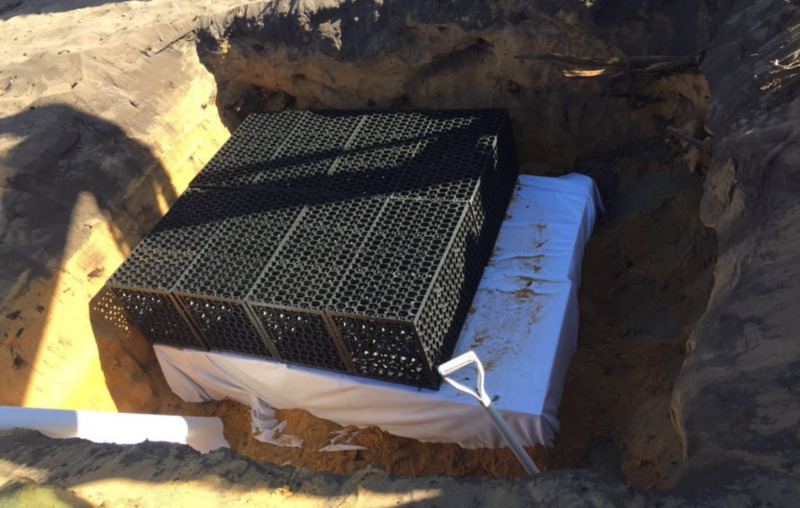 Installing large concrete soakwells at slab stage is the best way to ensure that your soakwells will be installed properly. Installing concrete soakwells requires heavy machinery for excavation and for hauling heaving soakwells to the intended locations. Once the roof is up and the house is near completion, there are bound to be additional pipes and cables such as gas, water, Telstra and sewer which block the space intended for soakwells, making your installation unviable or very expensive. Often clients will respond by pointing out that the plan indicates the location of the soakwells, "so it should be fine to wait until roof stage". However, the case 90% of the time is that if the soakwells are not installed at slab stage, the builders and trades will not pay any mind to leave a sufficient space for soakwells.